Davis Tarwater has had unbelievable heartbreak in his swimming career, but all of that anguish just made his ultimate successes that much sweeter. 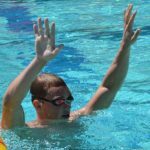 His first near-miss came at the 2005 World Championships, where he finished 4th in the 200 fly and missed the medal stand. 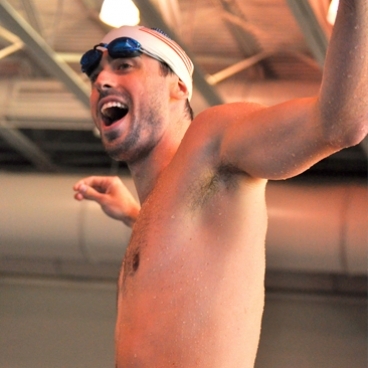 At the 2008 Olympic Trials, he finished third in the same event. With only two making the Olympic Team, he missed out on a trip to Beijing by less than a second. Fast-forward to 2012. After a hiatus from the elite levels of the sport while studying at the famed University of Oxford in England, Tarwater returned to the United States with renewed passion and set out chasing his Olympic dream again. The 2012 Olympic Trials began painfully for him again. He finished 7th in the 200 free, which again was one spot away from making the team. This time, however, he had prepared for more races and more chances. Next up was the 200 fly, both his greatest love and his greatest nemesis. After leading the first half of the race, he faded back to 4that the finish: once again so close, but just missing out. His final opportunity in the 100 fly again came up short, and he boarded a plane home to Charlotte thinking that he had missed out again. But then the call came. It was the phone call that every athlete hopes for after they come up short of their dream, but one that rarely happens. A voice that extends a lifeline, a change of heart, or a second chance–anything to give one more shot at greatness. For most, the call never comes. Sometimes, however, good things happen to good people; to people who do the work. 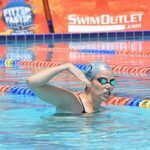 There is no such thing as a lucky-bounce in swimming, but after years of dedication fate can pitch a twist to the positive. When he picked up his phone after landing in North Carolina, the voice of his coach David Marsh at the other end informed him that he would need to return to Omaha, because the first Olympic Team practice would be that evening. 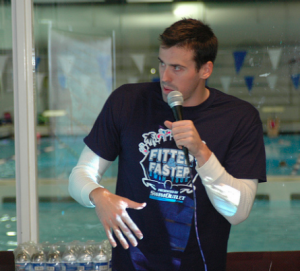 USA Swimming had decided that despite finishing 7th, Tarwater would represent the United States at the 2012 London Olympics. As the situation became clear, it turned out that Michael Phelps, Tarwater’s former training partner at Michigan, had decided to drop the 200 free from his own schedule. Phelps was the defending Olympic champion in the event but would focus on other races in 2012. With Michael out of the picture, Davis moved from 7th to 6th within the selection criteria for a relay and booked his ticket to London, where he would win a gold medal as a part of the 800 free relay. At that moment, when total despair had set in, a reminder came that the world works in mysterious ways. Sometimes, from the greatest disappointments emerge the greatest triumphs and elation beyond imagination. Those are the moments that drive through hours of grueling training and early morning workouts: the one instance where everything comes together for an unparalleled singularity of joy. Tarwater hopes to impart the concept of consistency and never giving up hope in doing the little things the right way.